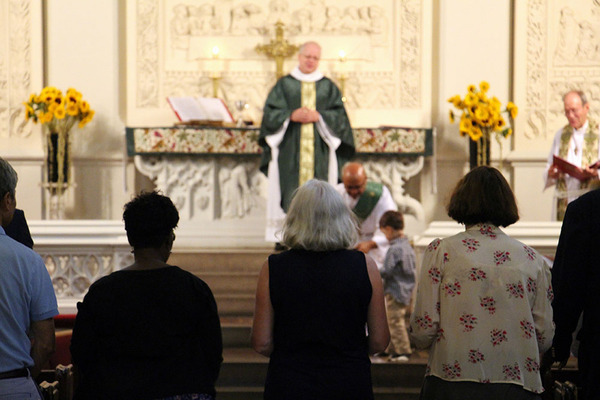 Every day at Advent, we are grateful for the abundance in this diverse faith community on Broadway and 93rd Street. But the scene yesterday on Rally Day has all of us feeling particularly grateful. We want to take a moment to say thank you to each person in this community, member or friend, who makes Advent what it is. Please accept a deep, heartfelt thanks to all of you who have joined us in worshiping God in our sanctuary, participated in our programs and ministries, and given time, money, and prayer to the continued fulfillment of our mission as a faith community. Thank you to everyone who enlivened Rally Day yesterday with their presence and participation. And thank you to everyone who thoughtfully explored our ministries, especially those in most need of new people, and is considering giving their time to those ministries. In this year of transition, we have successfully narrowed the deficit in our budget without making any cuts to our ministry through the Close the Gap initiative from March to June. We also secured a new Steinway Concert D grand piano for our sanctuary and raised about ⅔ of the cost through the New Piano Fund from June to August. Thank you to everyone who took their giving a step further this year to sustain the full vibrancy of our daily ministry and worship and music. We are steadfast in our efforts to more fully live out our vision of being one congregation worshiping in two languages. 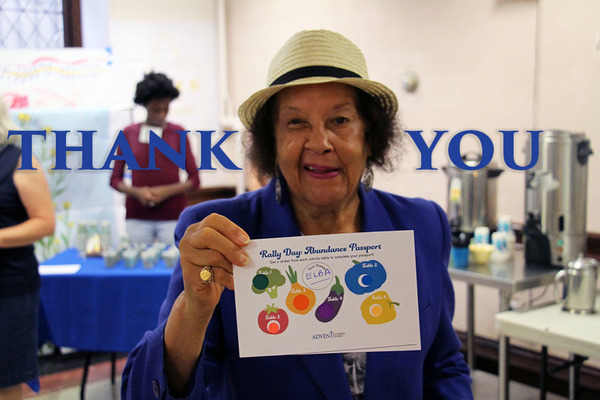 Thank you to everyone who participated in or volunteered at our intergenerational, bilingual Summer Suppers program in July and August. The success of this program was a significant step forward in fostering more interaction and unity between English-speaking and Spanish-speaking members of our congregation. If we were to name all the people working and investing in the life of this church, in diverse and unique ways, we would probably fill up your inbox -- but know that we recognize and give thanks for your contribution, and that the sum of all these parts is what makes the congregation and mission of Advent Lutheran Church unique. And for that, thanks to be God. Sunday School starts regular weekly classes this Sunday. Learn more. After-School Program starts homework help today, September 19th, from 3:30-5pm. Learn more. Confirmation begins with a group of fresh students on Saturday, September 24. Learn more. Youth Night met for the first time on Sunday, September 11, and will meet Sunday evenings once-a-month. Learn more. 20s/30s Group - Will meet for brunch after 11am worship this Sunday, September 25. Learn more. Adult Conversation picks back up with topical discussions from 10:10-10:50 am in the basement fellowship hall starting this Sunday. View fall/winter topic schedule. As we near the 500th anniversary of the Reformation, it’s time for an Eco-Reformation! Join us for this four-part study on Eco-Reformation, from 6:30-7:30pm on four Wednesdays: October 5, 12, 26, and November 2. Watch the intro video. If you might be interested in serving on any one of these ministries, please let us know, and we'll get you more information. Our Call Committee sent a special e-letter updating you on where they’re at in the process of finding our new Senior Pastor. If you missed it, read the special e-letter here. 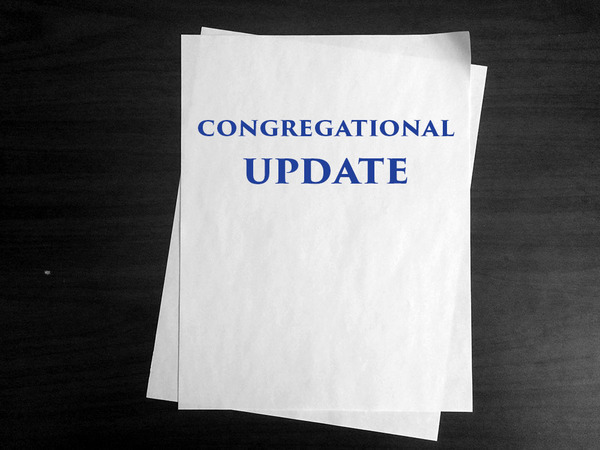 On Sunday, October 2, our Congregation Council will host a meeting updating you on 3rd quarter financial picture and if any additional news from Call Committee. The meeting will be at 10:10am in English in the basement fellowship hall, and immediately after 12:45pm Spanish Worship in Spanish, in the sanctuary. We have been blessed this past year with the musical talent of Deanna Witkowski, our Associate Minister of Music. As her professional career grows, Deanna has made the decision to leave Advent. This Sunday will be her last with us in worship. 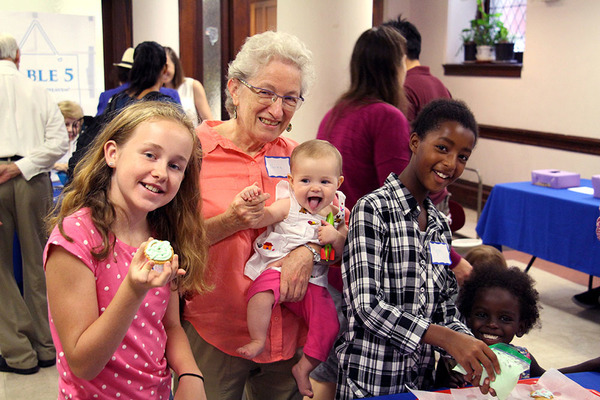 We will host a special coffee time after 11am Worship to show our gratitude for Deanna. You are invited to join us, and bring a thank you card or mail one to our office. Adult Conversation | Topical adult conversations begin again at 10:10am in the basement fellowship hall, beginning with a report from Ellie and Adolfo who attended the ELCA Churchwide Assembly in New Orleans in August. Special Coffee Time | Celebrate and say goodbye to Deanna at our special coffee time in the basement fellowship hall after 11am worship. This will be her last Sunday bringing her jazz-inspired nuances to our worship services as she shifts focus to exciting new music projects of her own.